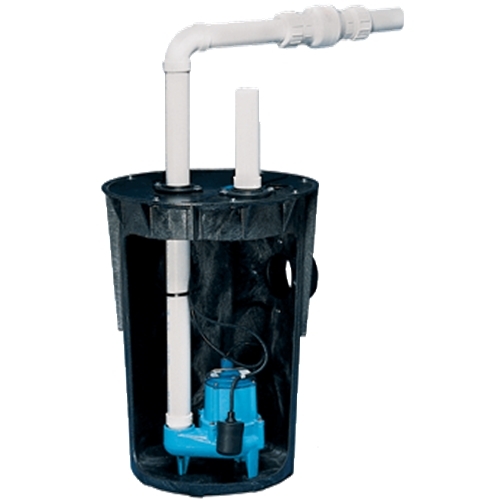 For residential, medium commercial, agricultural and light industrial applications, the 9S series wastewater and sewage ejector pumps handle liquids and solid waste materials up to 2″ in diameter. These 4/10 HP pumps feature a 2″ or 3″ discharge with a maximum head of 18′. Cast iron housing and volute have a protective epoxy coating. Automatic operation has 11″-16″ .ON. level range, and 4″-8″ .OFF. level range with adjustable piggyback mechanical float switch.